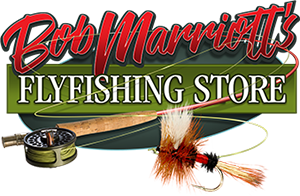 The Going Green Equipment Recycling Program at Bob Marriott’s Flyfishing Store makes it easy for you to purchase the newest and most innovative fly fishing gear and minimize your out-of-pocket expense. How does it work? You clear out your closet of unused fly fishing gear and we clean it up, photograph and list it for sale online. When the sale is complete, you receive the proceeds in store credit at the shop and you can use this credit towards any regular priced merchandise! Simply complete a Product Information Sheet for each item you would like to auction. Briefly describe your item and give us any information that will assist in its sale. If you have a minimum acceptable selling price, please include that r price on the form, as well. Your item may be sold on a consignment basis, or purchased outright by the store at an agreed price.This is entirely at the discretion of the management at Bob Marriott’s. When the store purchases your product(s), you will be given store credit for the purchase at that time. There is a small 6% fee charged by the store to cover credit card processing expenses. If a consignment sale is agreed upon, you will be given store credit when the sale is finalized. A general rule is in demand items would receive immediate purchase considerations over less sought after items which may only be offered consignment considerations. Bob Marriott's charges no fees for this service however there may be fees deducted from the final sale price to cover additional shipping fees of oversized or heavy items. Your store credit may be used to purchase any regular priced merchandise in-store or online at www.bobmarriotts.com. Credit issued through trade-in sales are for store credit only (unless prior arrangements have been made) and cannot be exchanged for cash. You are intrigued by the cutting edge technology in the newest fly fishing equipment but you have a closet full of rods, reels and gear. You want to get the most for your used equipment but don’t have the time to list it for sale online. The high cost of premium gear is keeping you from committing. Bob Marriott’s “Going Green” Equipment Recycling Program will prepare your gear for sale, photograph it and market it on the “Trade-In” section of our web site, monitor the sale and you receive the proceeds to spend at the shop. Pretty easy right? Let our fly fishing expertise help you get the most for your used tackle…and at no charge. Trade in your used gear and “Go Green” with us! Our "Going Green" program is for the sale of fly fishing gear only. We reserve the right to accept or deny an item for auction. For liability reasons, waders, float tubes and floatation devices will not be accepted. We will use our experience to let you know if your suggested price is reasonable. If your item does not sell we will contact you to discuss your options. Bob Marriott’s offers this service free. If you plan to ship items to us from out of state, please advise us ahead of time. Return shipping fees for non- sold items will be the responsibility of the customer. Please let us know if you have a specific question.